NOTE: Blackboard 9’s performance—especially on the Grade Center—is dependent upon the processing power of the computer you use. For optimal performance, before you login to Blackboard, we suggest that you close any unnecessary programs, tabs, or browser windows. For even greater performance improvements, use a modern, up-to-date web browser and do not use Internet Explorer 7. 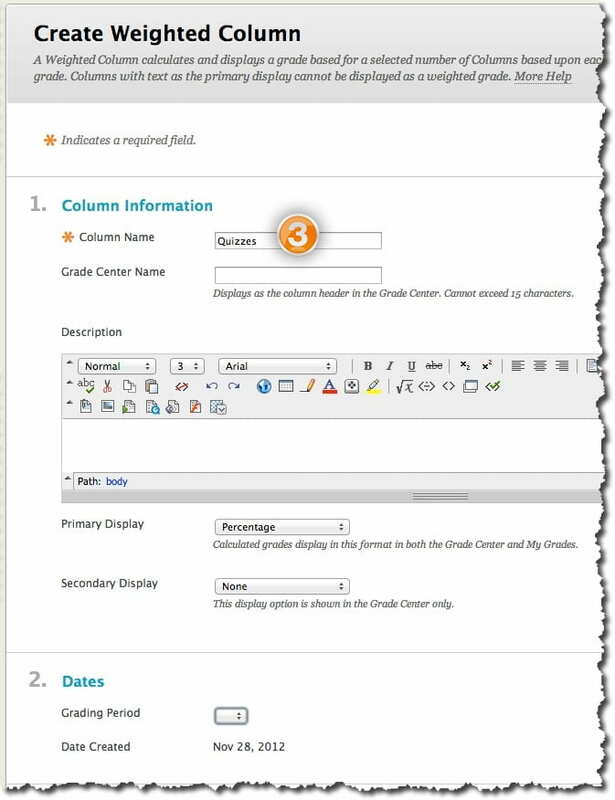 In Grade Center, on the Action Bar, click Create Calculated Column to access the drop-down list. On the Add Weighted Column page, complete the Column Information. In the Columns to Select box, click a column title to select it. To select multiple columns in a row, hold down Shift and click. To select multiple columns out of sequence, hold down the Control Key and click. Click the right-pointing arrow to move columns into the Selected Columns box. In the Selected Columns box, enter the weight percentage for each item in the text boxes. Select the radio next to Calculate as Running Total, if desired. Running totals will exempt any cells that do not contain data. Select the radio nodes next to the desired Options. You can include a calculated column when creating another calculated column. 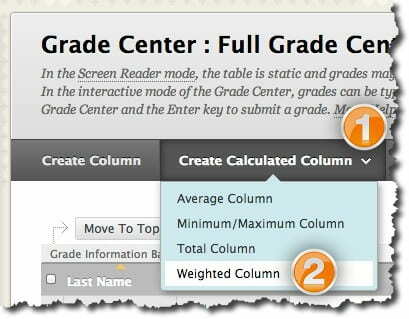 For example, if you have created a calculated column that weighs quiz grades, you can include this column when creating a final grade column. 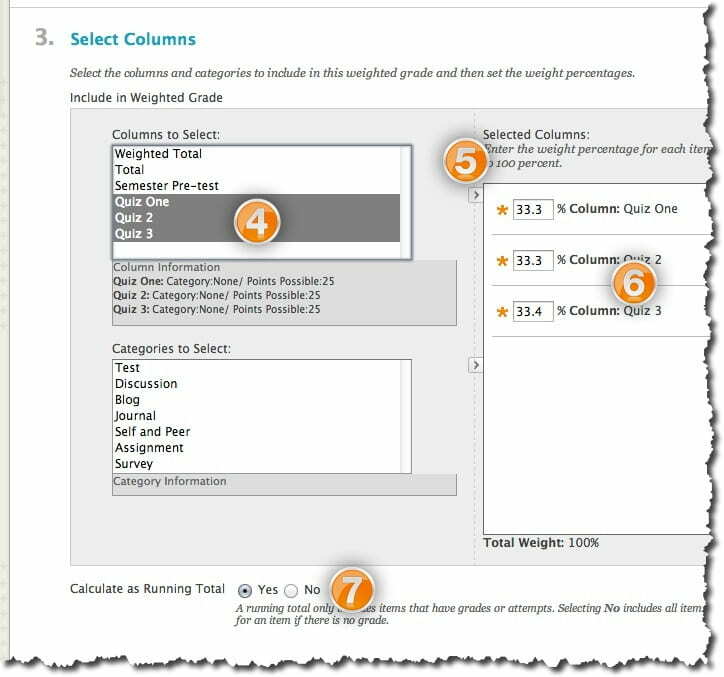 As with other columns, you can choose whether calculated columns are displayed to students.